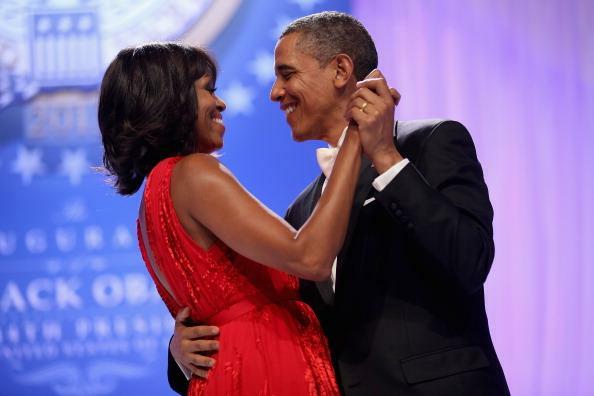 Wednesday night President Obama and First Lady Michelle Obama dined with British Prime Minister David Cameron and his always fashionable wife, Samantha Cameron at the White House. This State Dinner was part of the Camerons’ three-day visit to the United States. For this special occasion, Michelle chose to wear an elegant, off-the-shoulder, midnight blue gown by Marchesa. She accesorized by adding several thick strands of Tom Binns pearls. 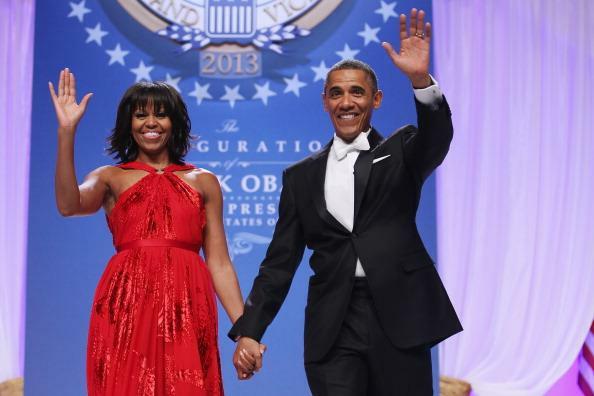 Thisevent marks the first time Mrs. Obama has worn Marchesa, a New York-based label, for a major event. The label was started by British born designers Georgina Chapman and Keren Craig in 2004. How fitting for this occasion, no? Samantha Cameron opted for a dark blue slip gown, covered with a mesh of dark and light blue lace. She embellished her look with a black belt, cinching at the high-waist. What a flattering, avant-garde look for her ruler-silhouette! Which woman’s gown do you prefer? 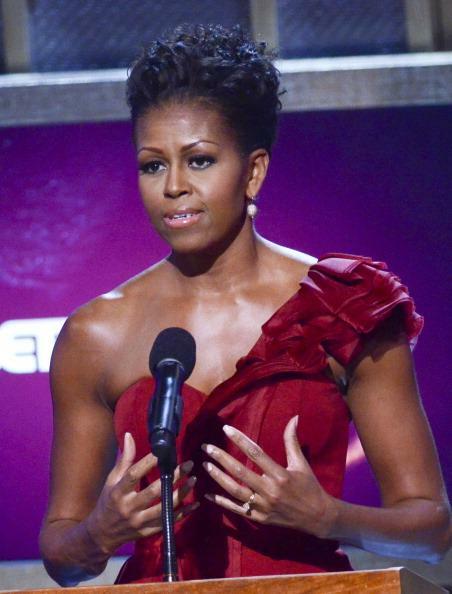 Saturday evening First Lady Michelle Obama attended the BET Honors 2012 in style. 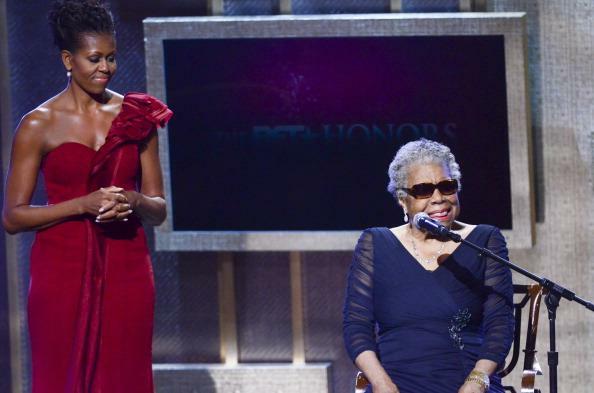 At the ceremony, which took place at the Warner Theatre in Washington, DC, Mrs. Obama appeared on stage to pay tribute to Maya Angelou. A distinguished author and poet, Angelou has often been referred to as “America’s most visible black female autobiographer” and is best known for her work I Know Why the Caged Bird Sings. 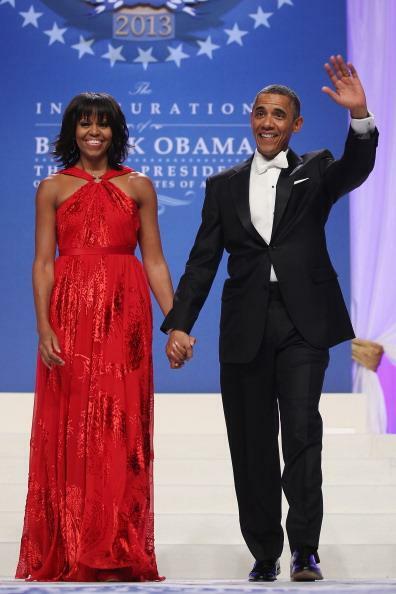 Michelle looked stunning in a scarlet organza, one-shoulder gown by J. Mendel, a designer recently honored at the National Design Awards at the Smithsonian Museum in DC. 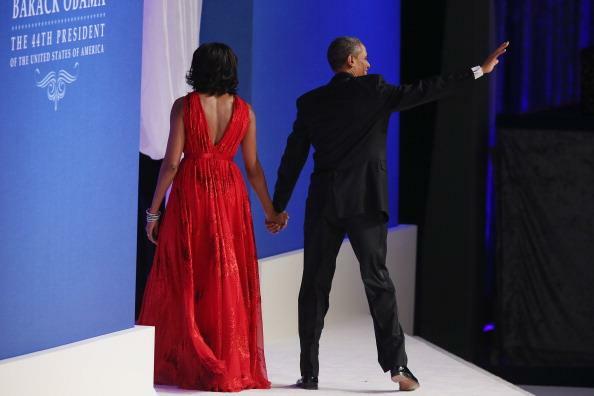 With such a dramatic gown, the first lady opted to go light on the accessories, wearing only simple drop earrings. 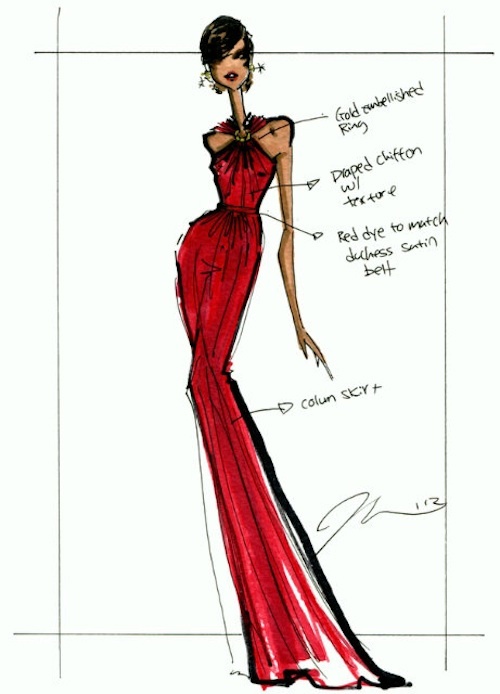 The BET HONORS 2012 will air February 13, 2012. 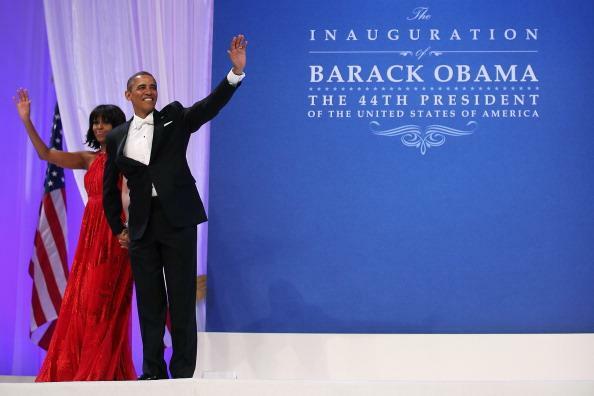 What do you think of Mrs. Obama’s gown? Is it fashionably correct?